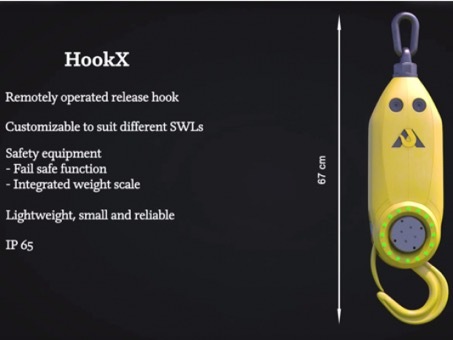 The Crane Department at Global Maritime AS has been assisting Securalift AS with advisors for their new remote operated release hook, HookX and the gyro operated swivel TwistX unit (prototype). - HookX, Global Maritime has been assisting Securalift AS with advisors for the CE Marking. 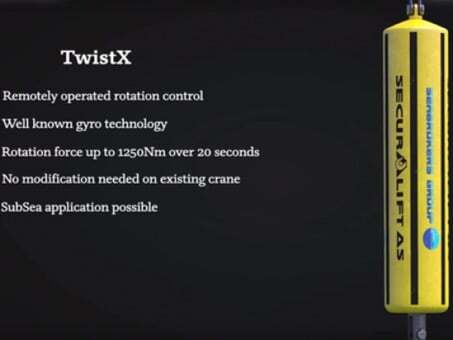 - TwistX, assistance for fulfilling the requirements to NORSOK R-003 and in cooperation with Securalift AS prepared a FAT program for the TwistX gyro operated swivel.